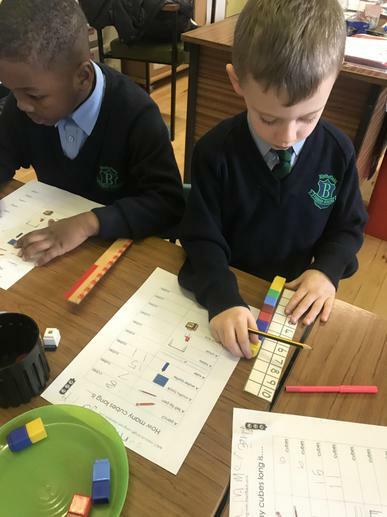 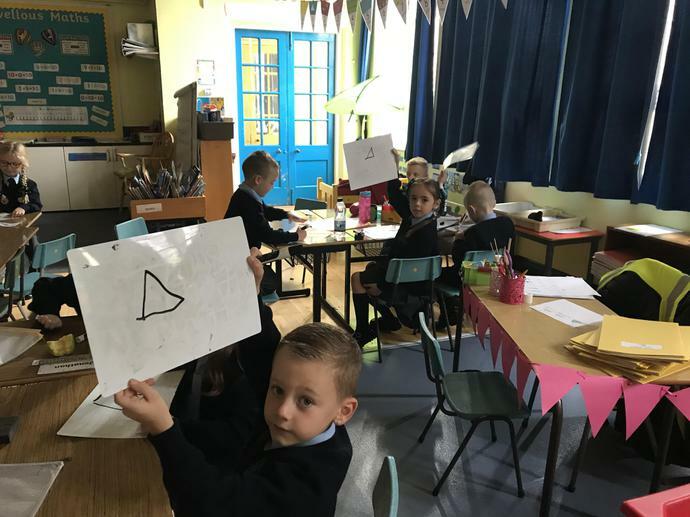 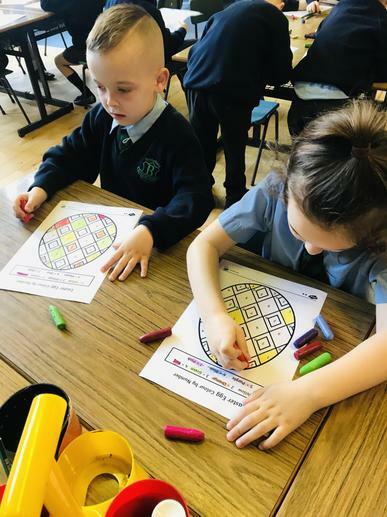 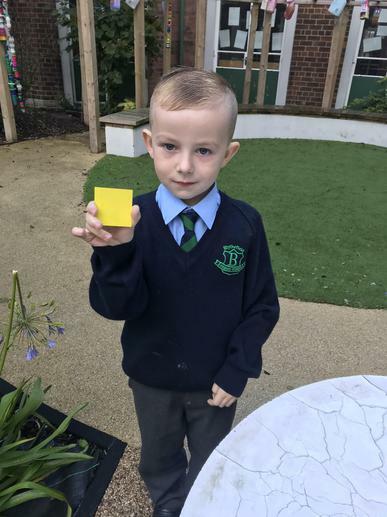 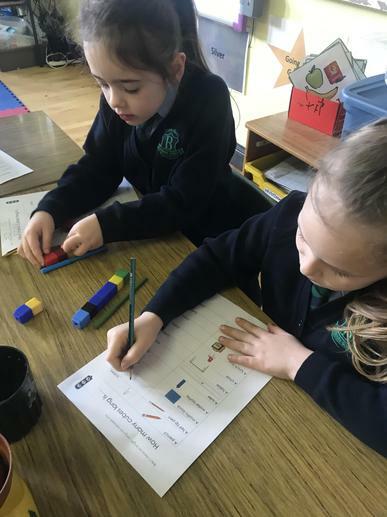 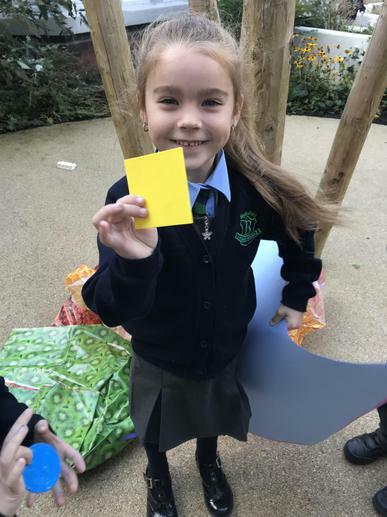 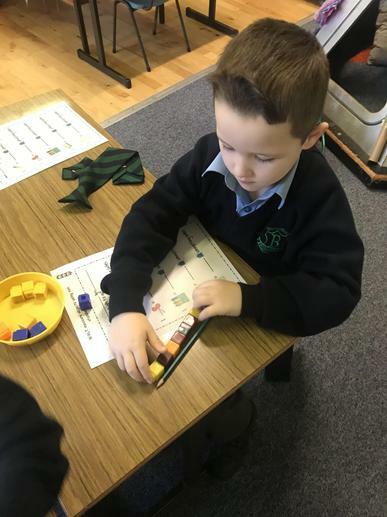 We have been enjoying Numeracy Week and have learnt a lot and had fun learning about missing numbers, ordering numbers and number patterns. 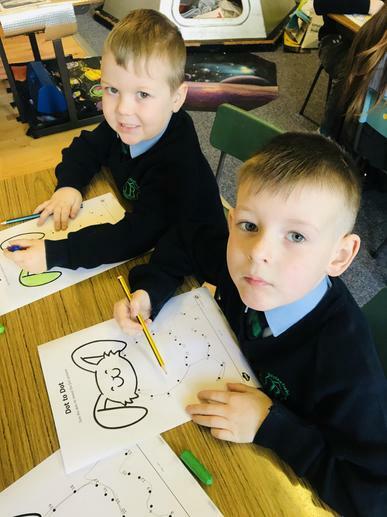 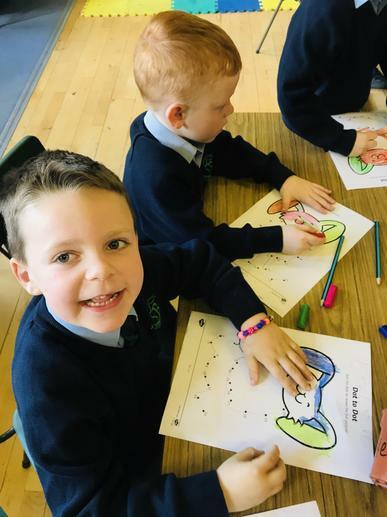 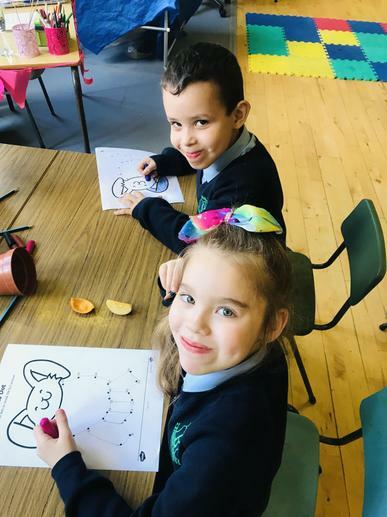 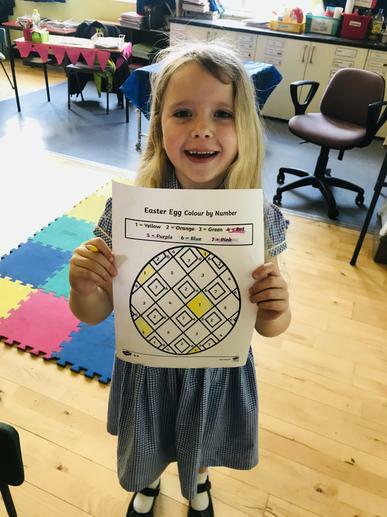 We like how our learning is Easter themed! 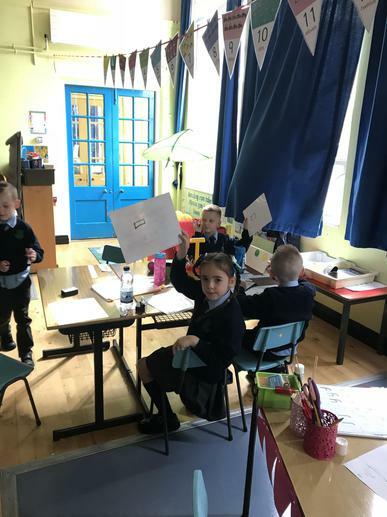 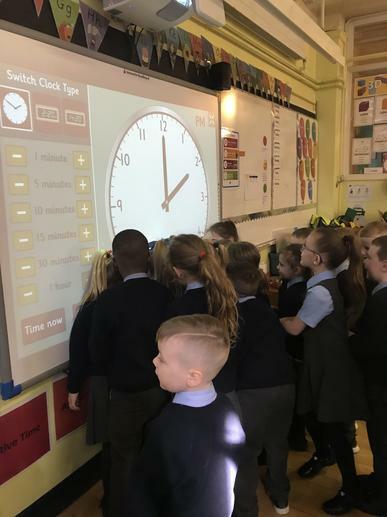 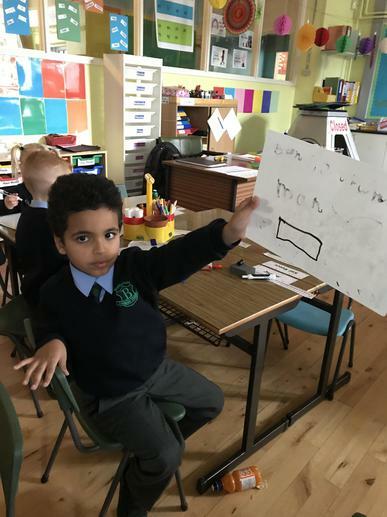 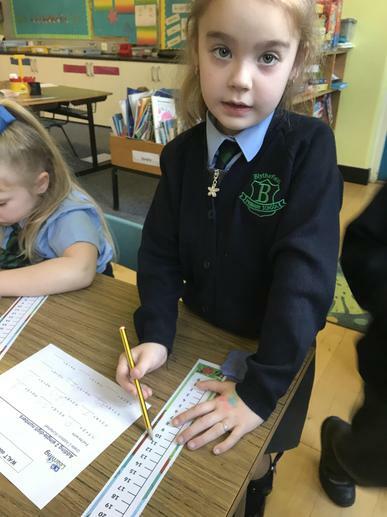 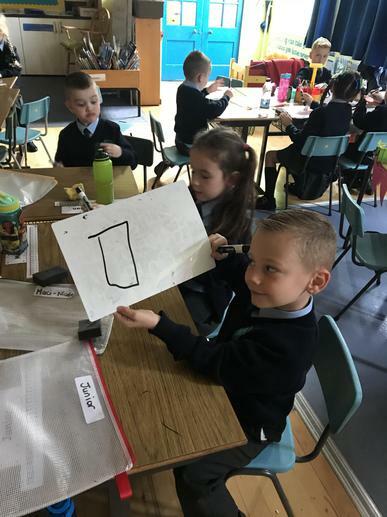 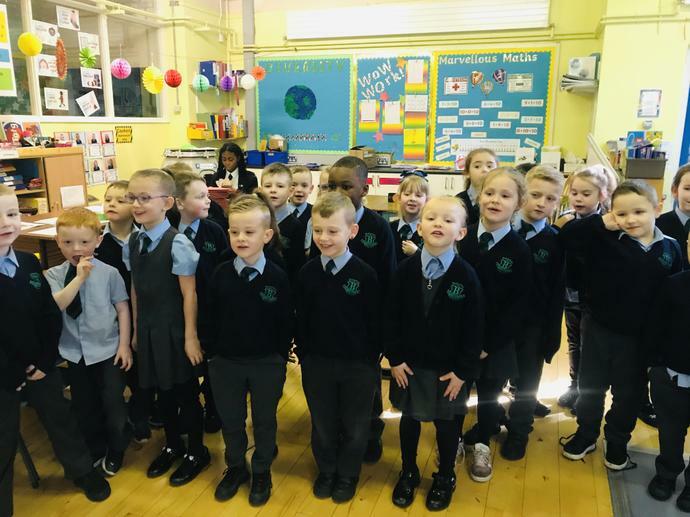 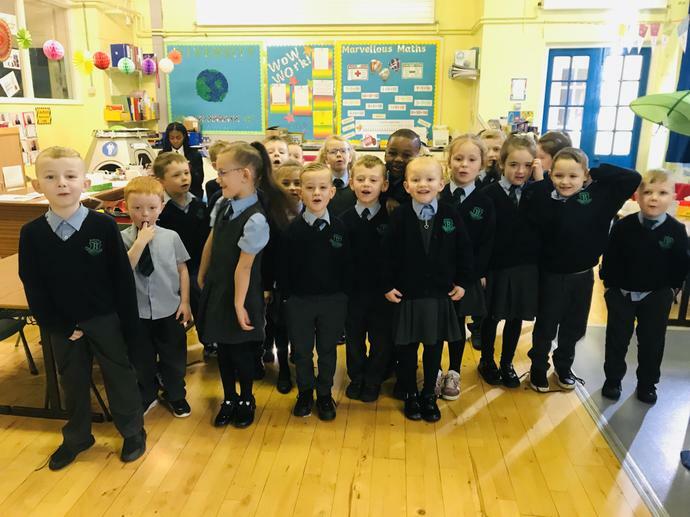 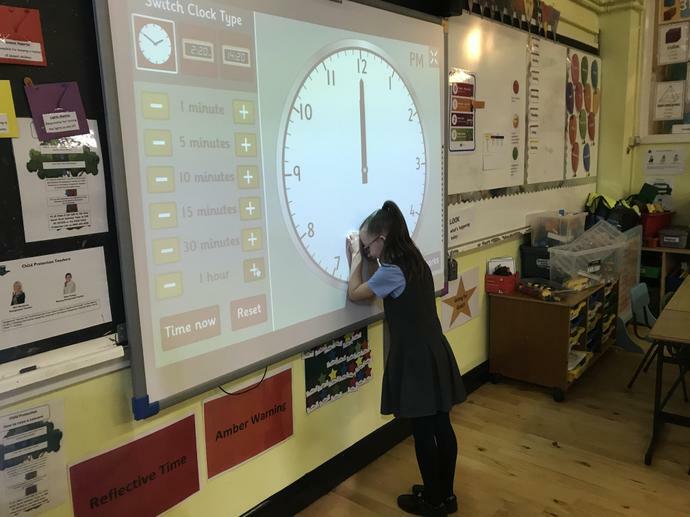 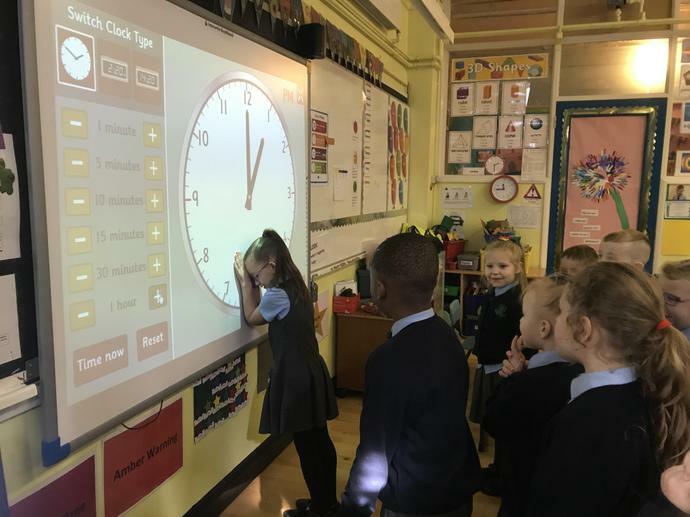 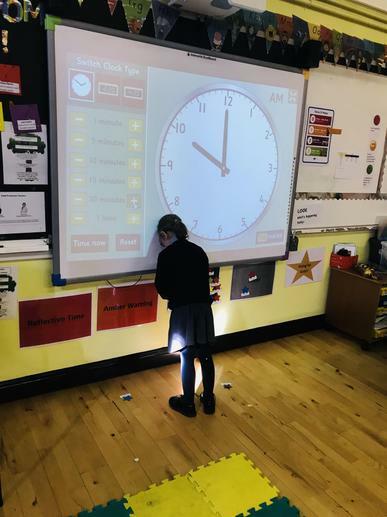 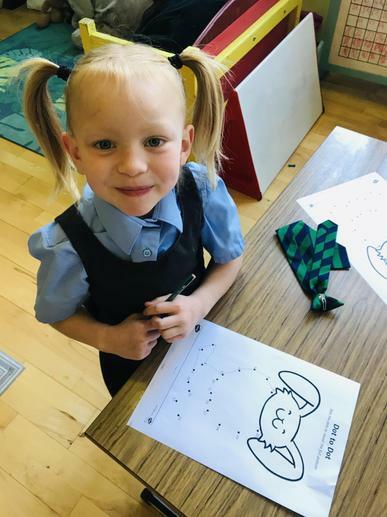 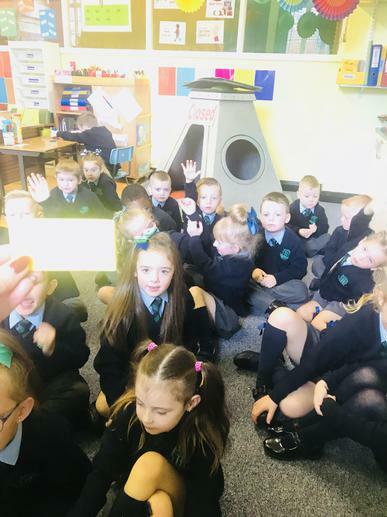 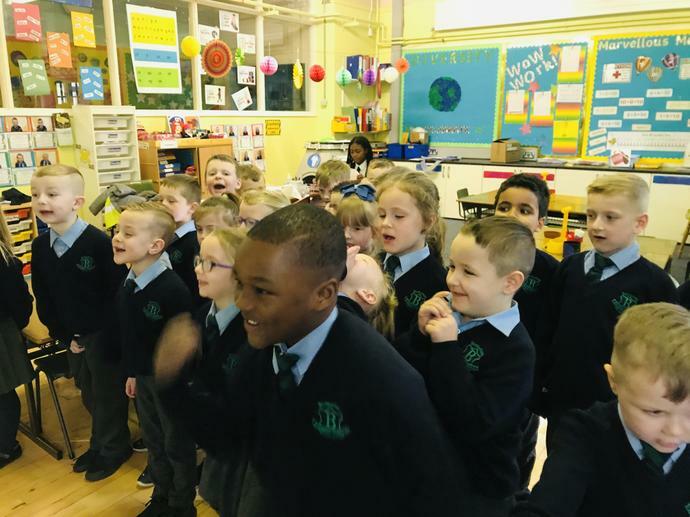 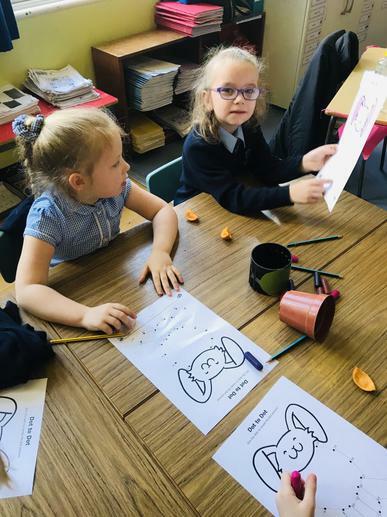 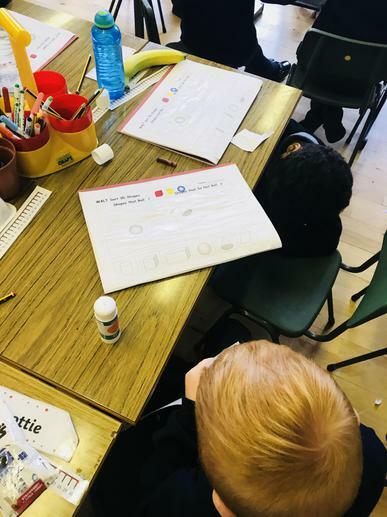 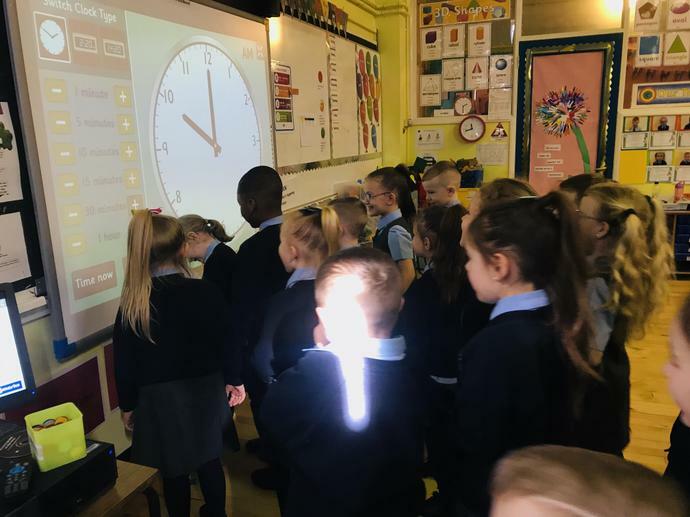 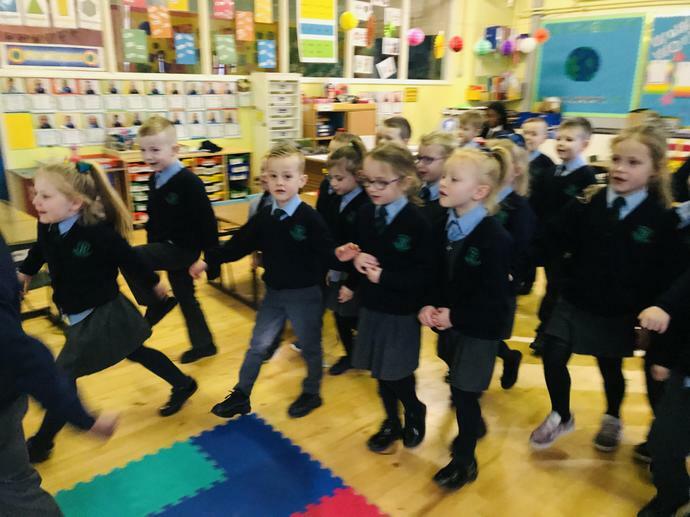 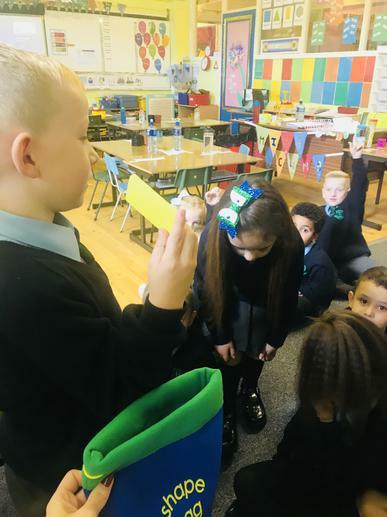 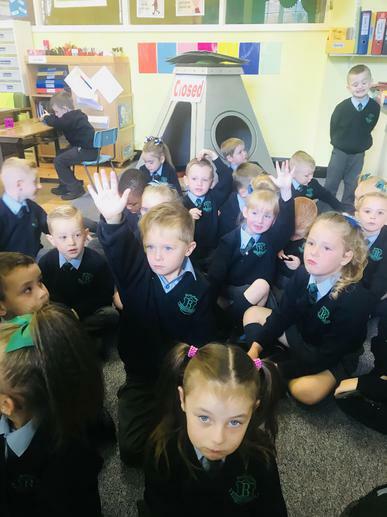 P2 have been learning about time, looking at o’clock and half past and playing ‘what’s the time Mr.Wolf’ has helped us know our clock times. 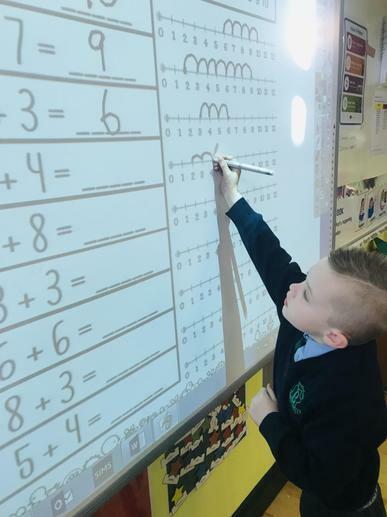 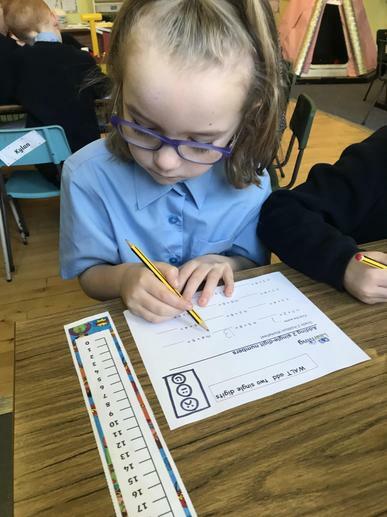 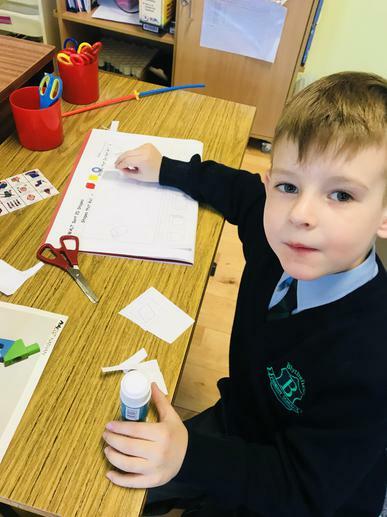 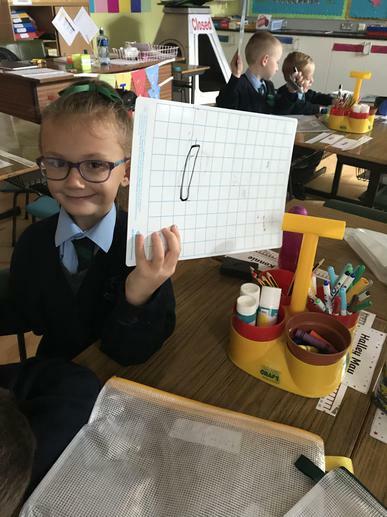 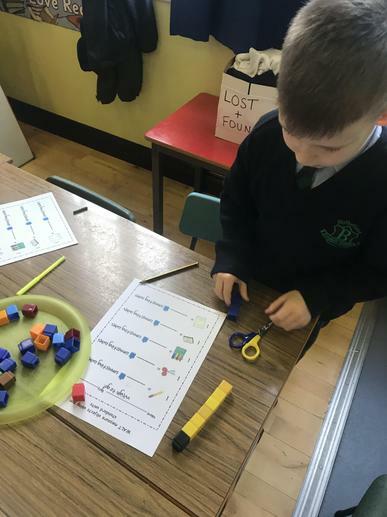 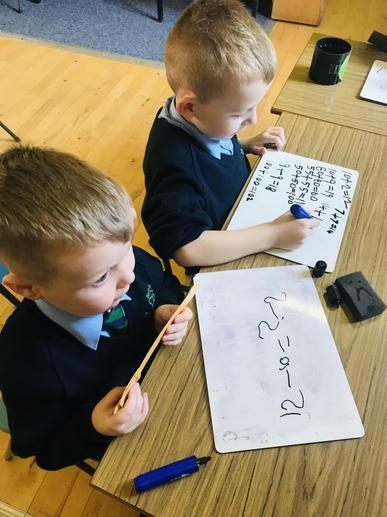 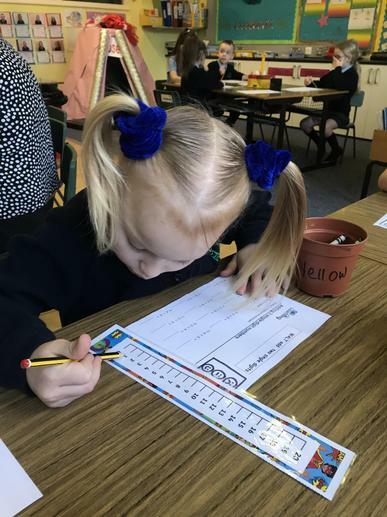 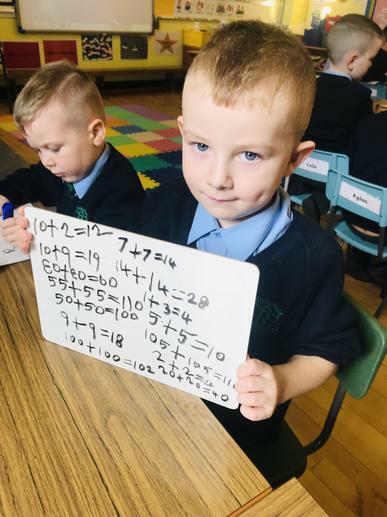 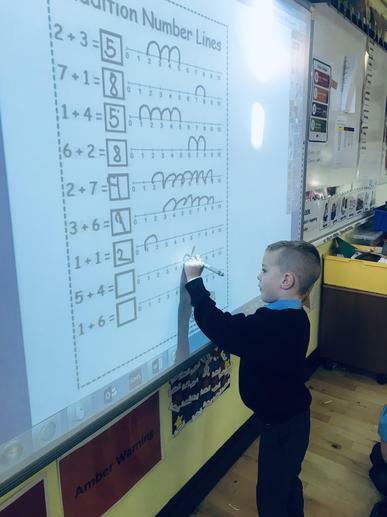 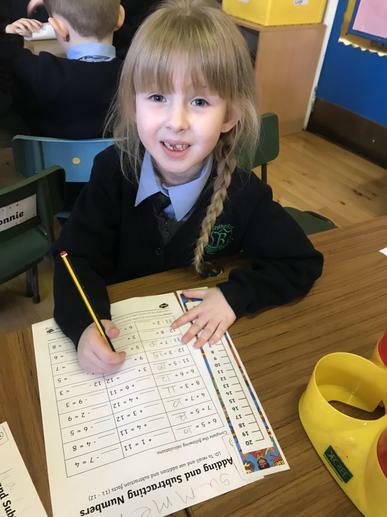 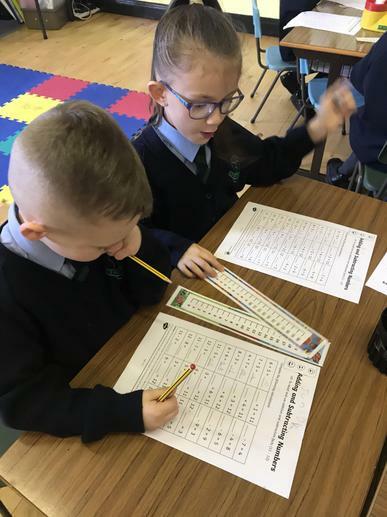 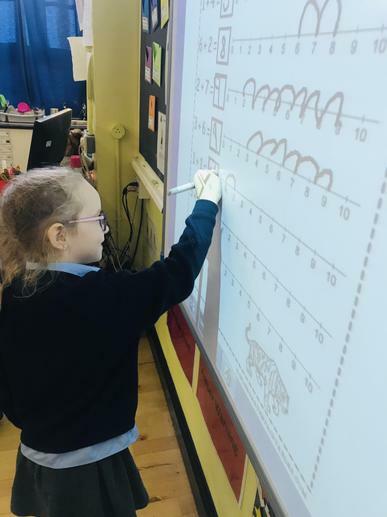 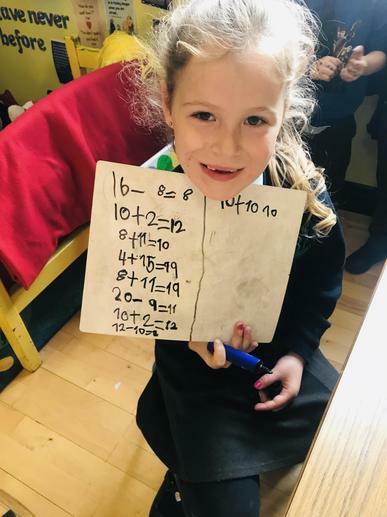 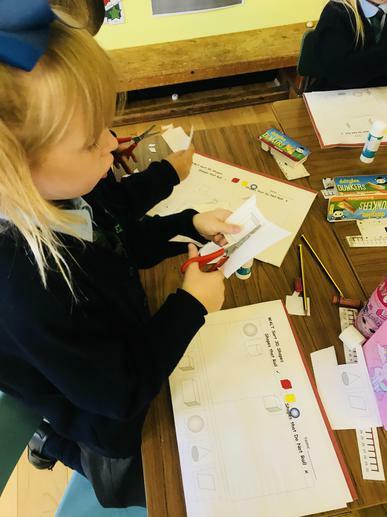 Primary Two have been learning to find missing numbers using their number lines and counting on and back. 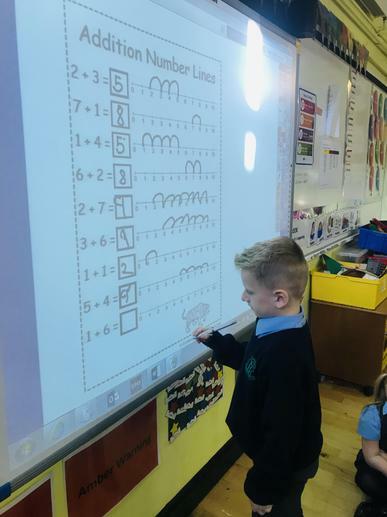 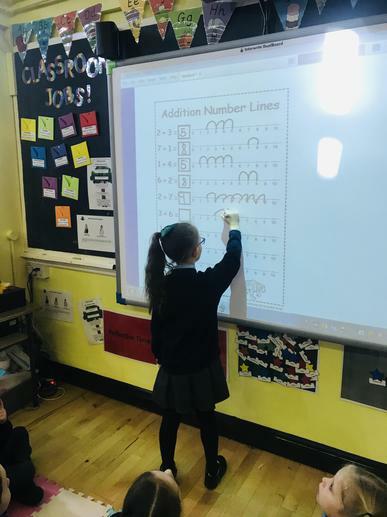 We are learning to use number lines to count on and add numbers together, this has been great for our mental arithmetic. 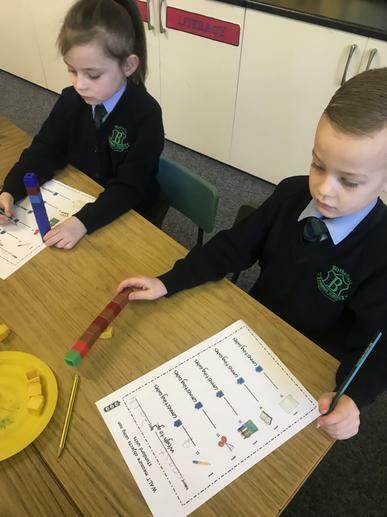 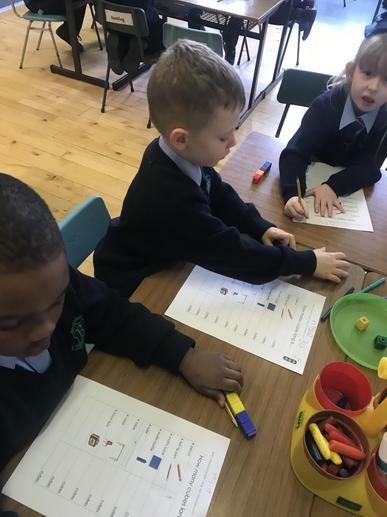 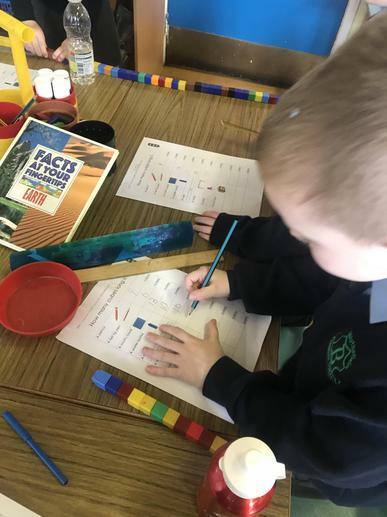 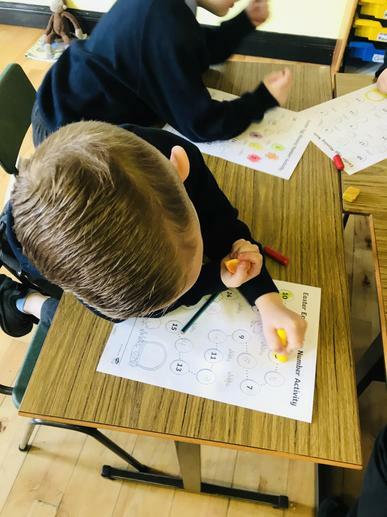 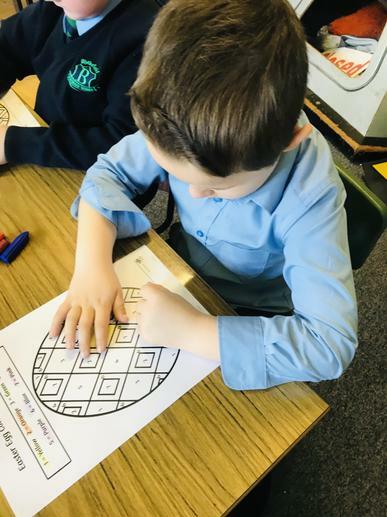 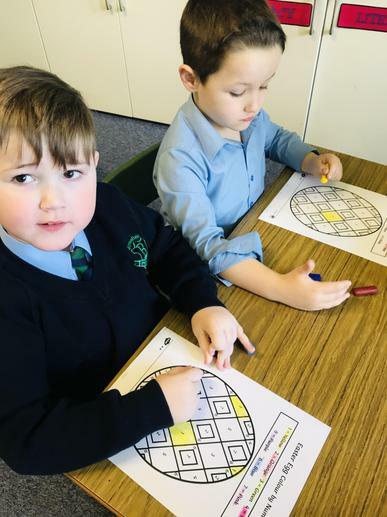 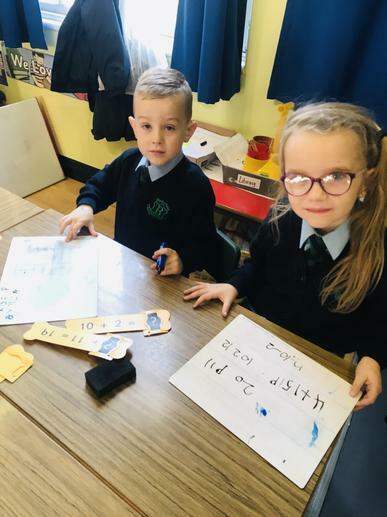 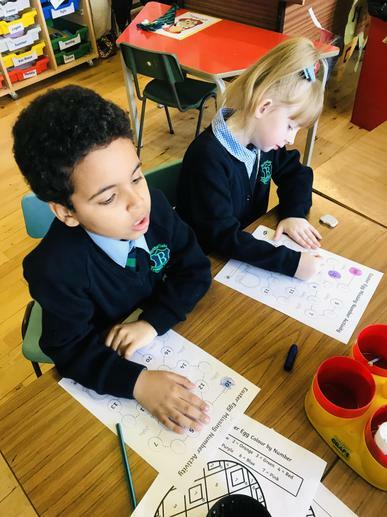 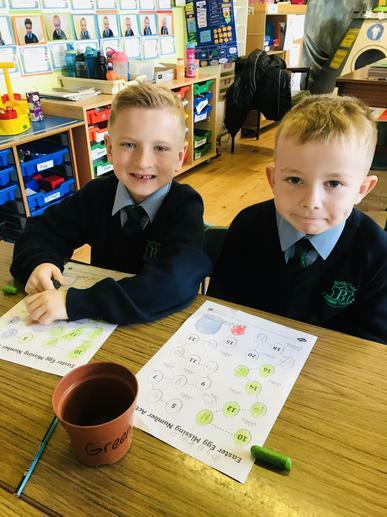 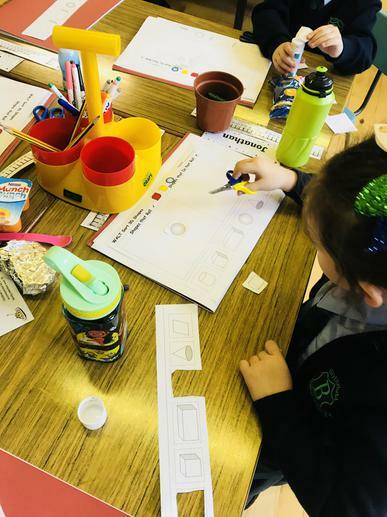 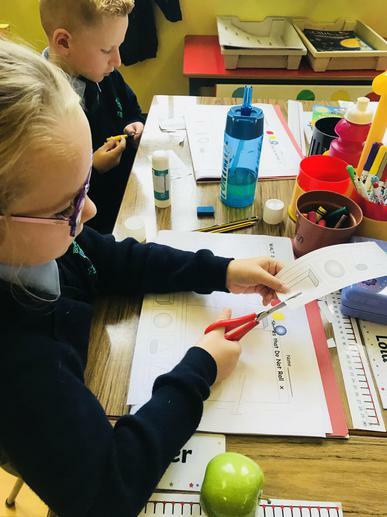 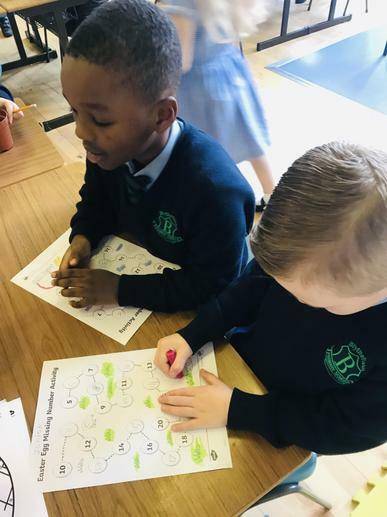 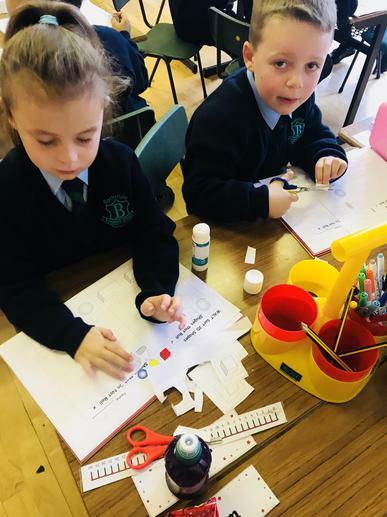 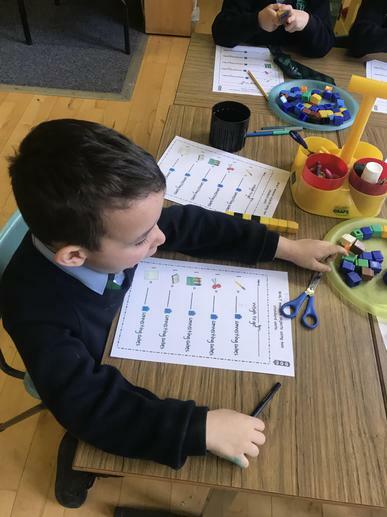 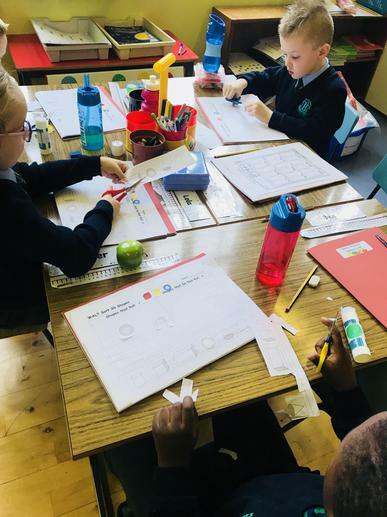 During our play based learning we are working on our number knowledge, we are great at our counting skills, adding, subtracting and finding the difference. 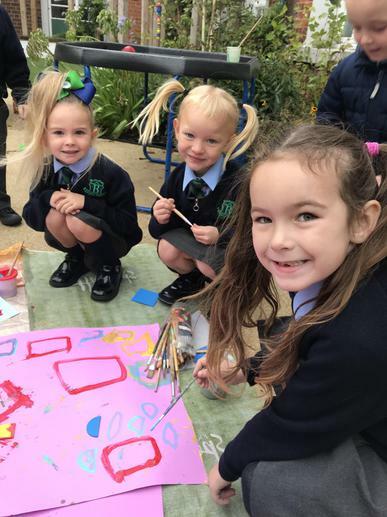 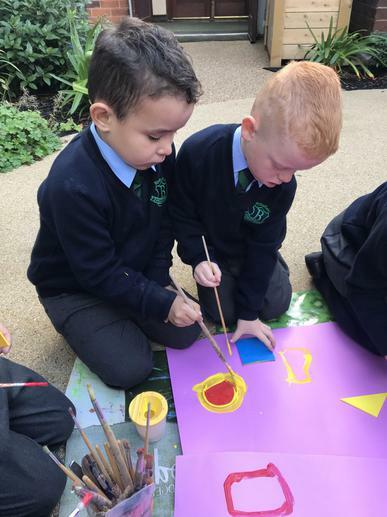 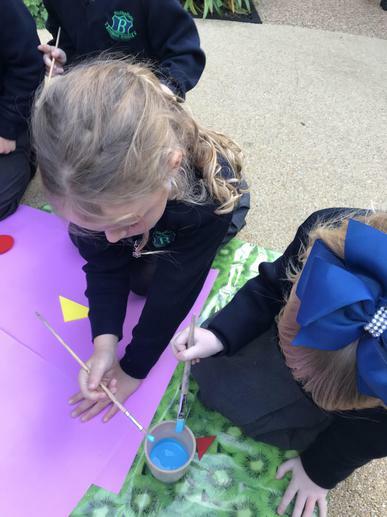 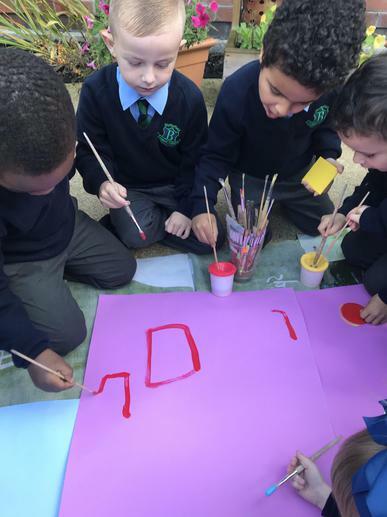 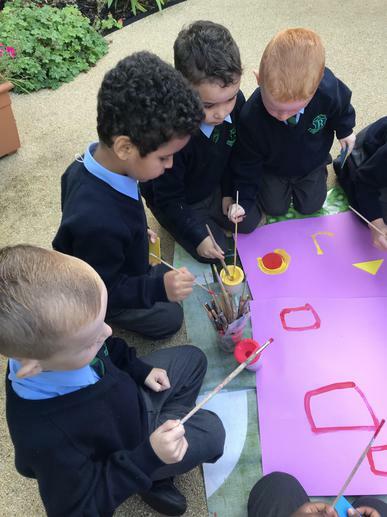 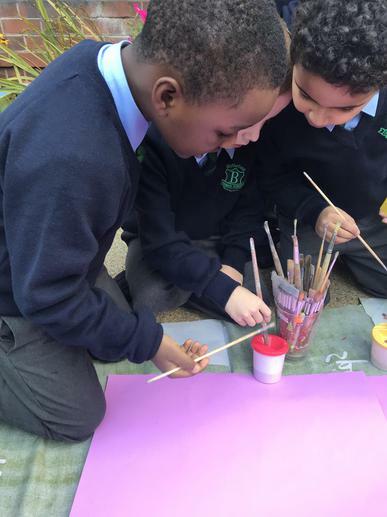 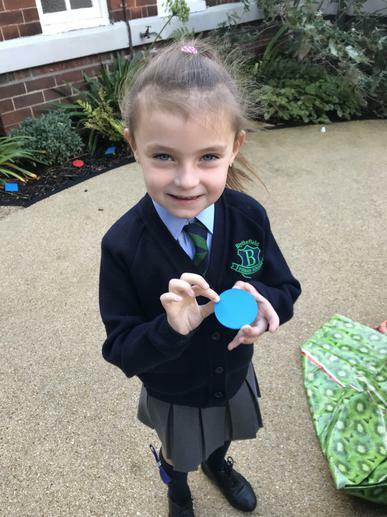 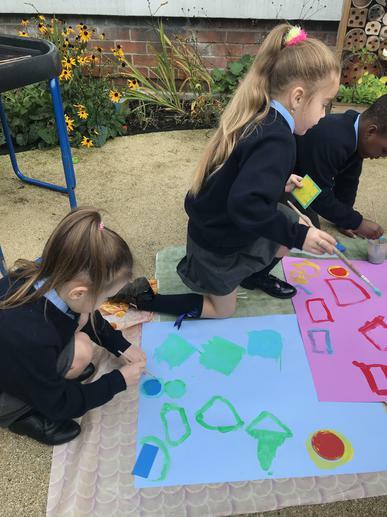 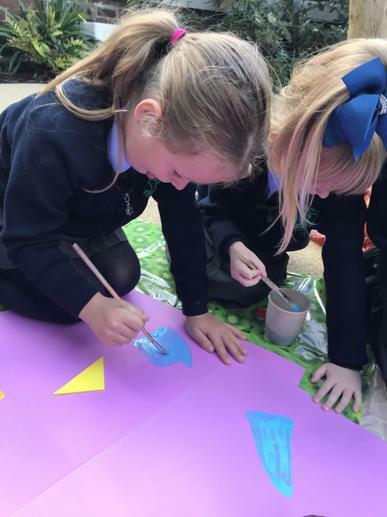 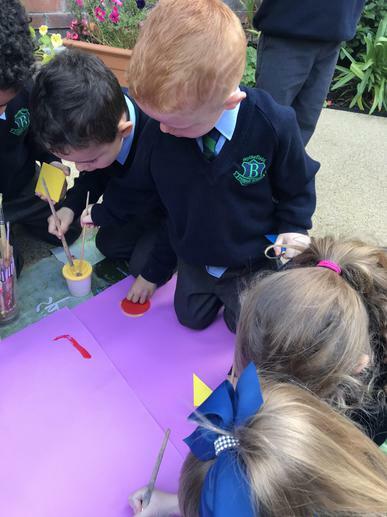 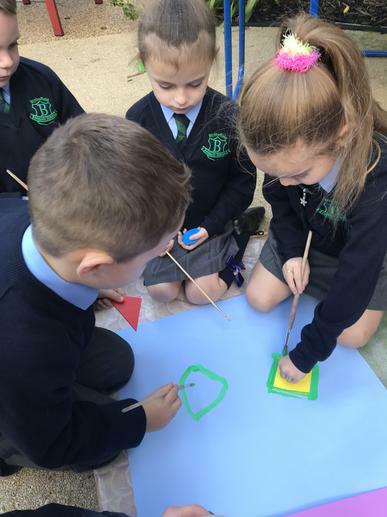 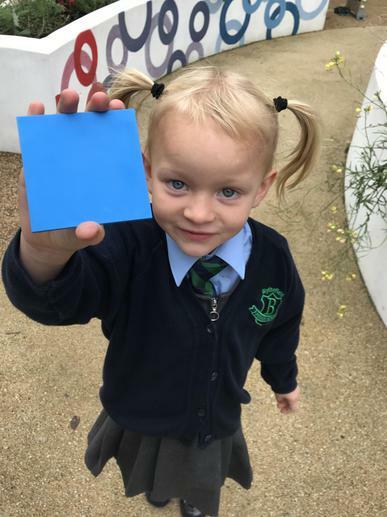 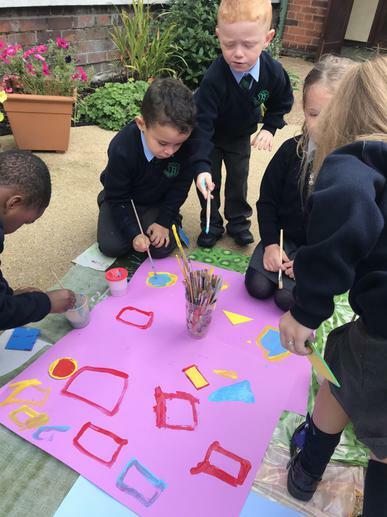 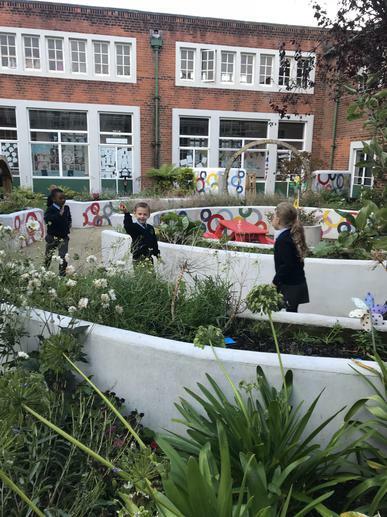 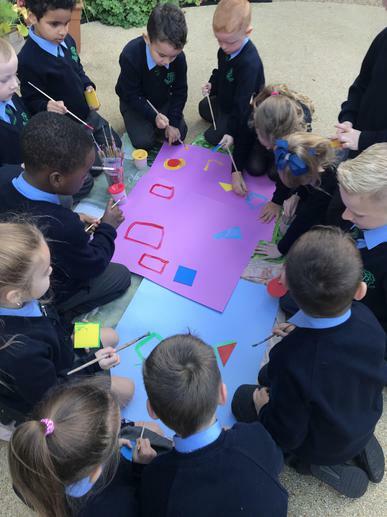 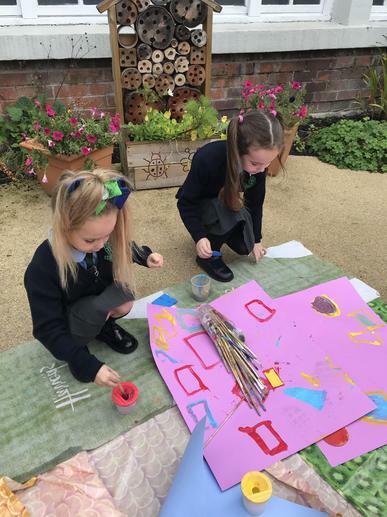 What a fun morning in P2 going on a Shape Hunt and painting 2D shapes in our school garden. 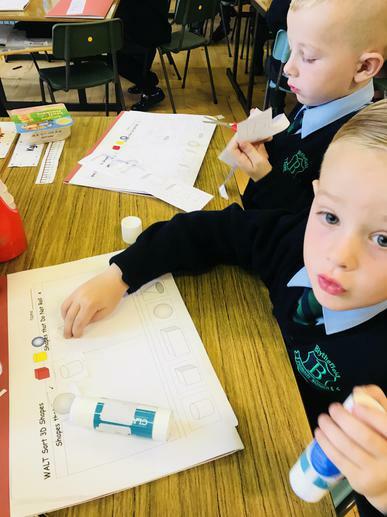 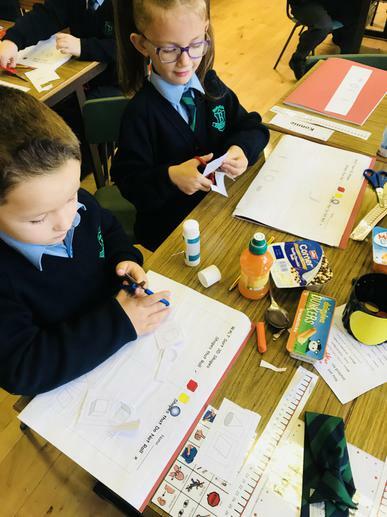 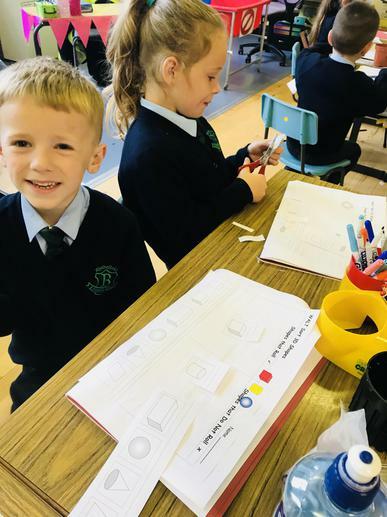 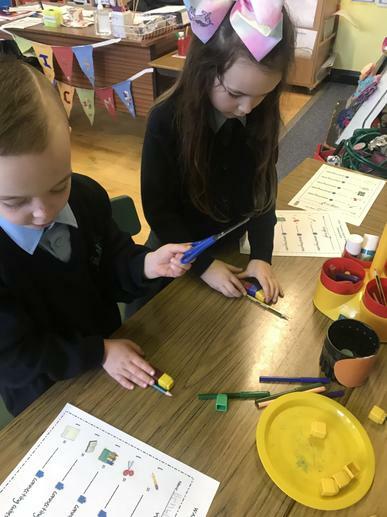 We have been testing our knowledge on 2D shapes. 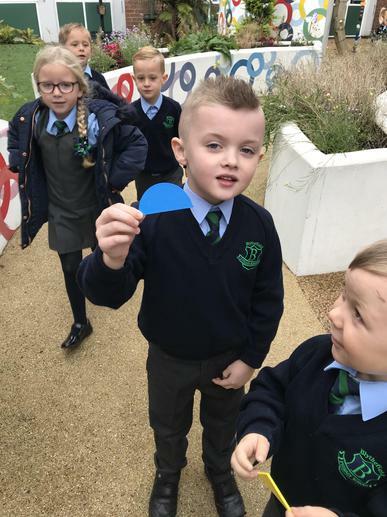 We can name them! 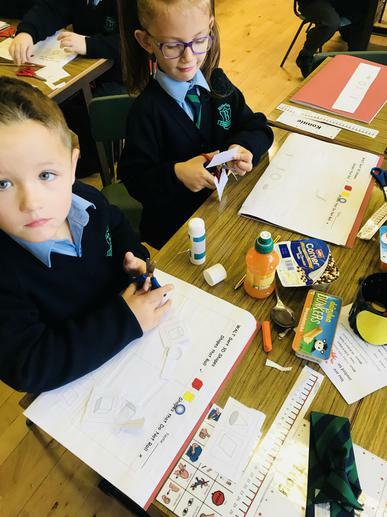 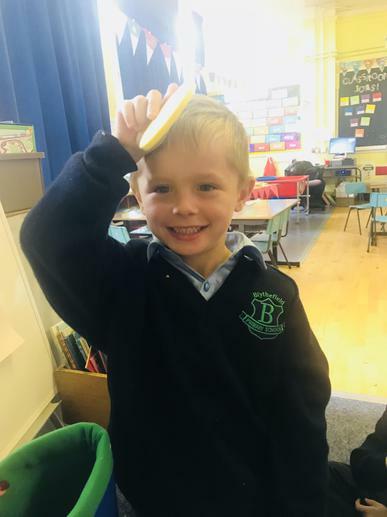 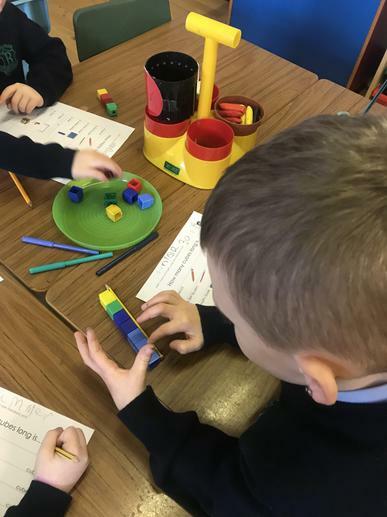 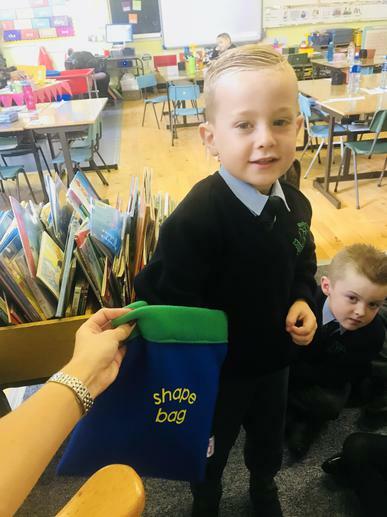 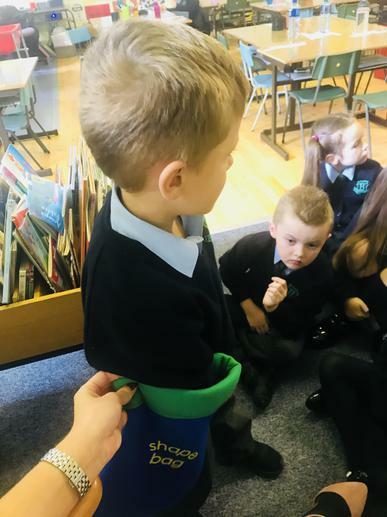 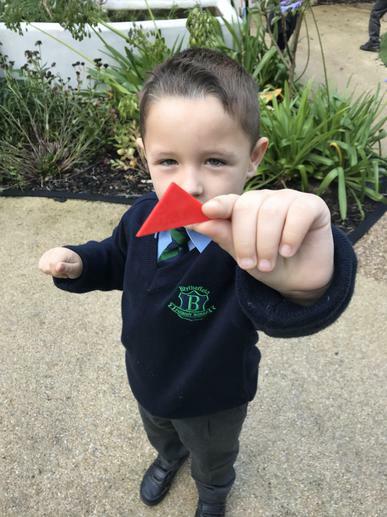 Primary Two have been looking at 3D shapes. 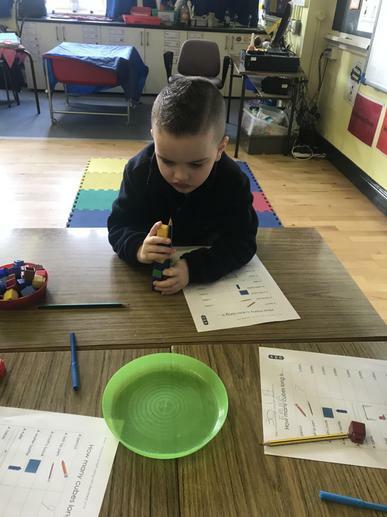 We investigated shapes that could roll and shapes that couldn’t. 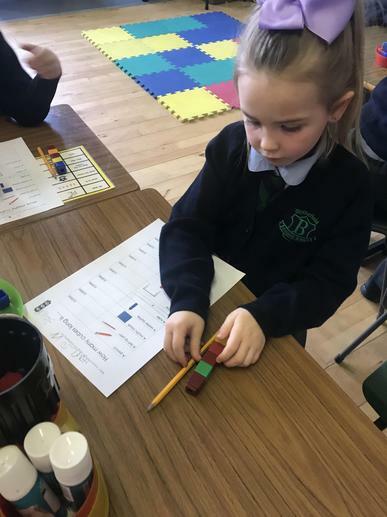 We now know more about some 3D shapes properties.